Features and benefits: Work Platforms give employees an elevated view for operating and inspecting blenders, grinders, conveyors and safe access to elevated points throughout your facility. 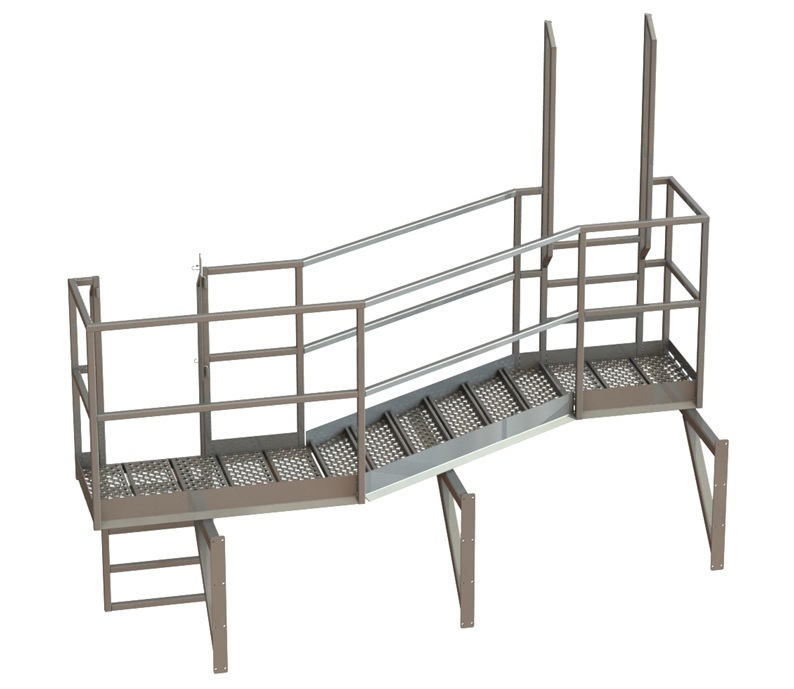 Produced and constructed with AMI’s Sanitation Equipment Design Principles and ease of cleaning in mind. Construction: Made of high quality 300 stainless steel. 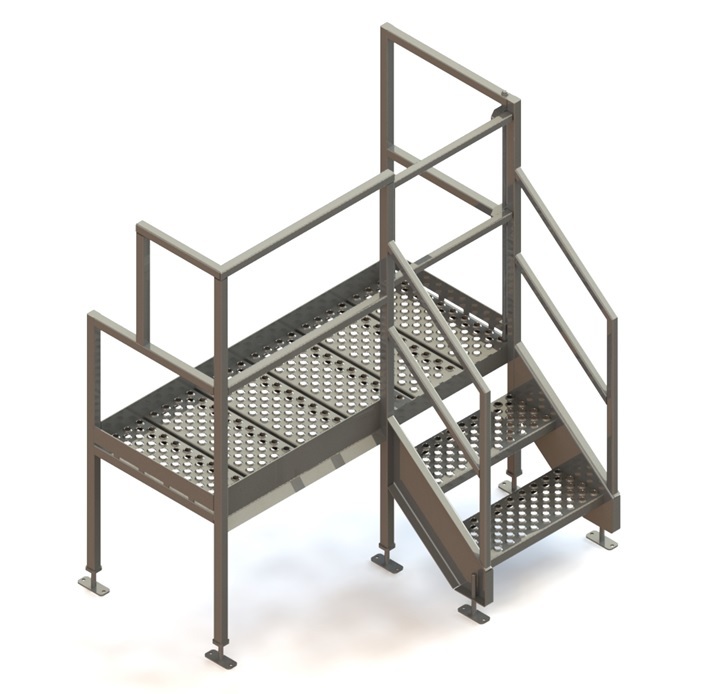 Available in tubing or angle construction. Drip/catch tray is optional. Stainless steel corrugated decking and steps. Tig welded. Also can be combined with Stone custom guarding for added safety.